Tablet drawings. fanpop wont upload the picture files so i have to do screen shots.... HD Wallpaper and background images in the Invader Zim FanCharacters club tagged: invader. 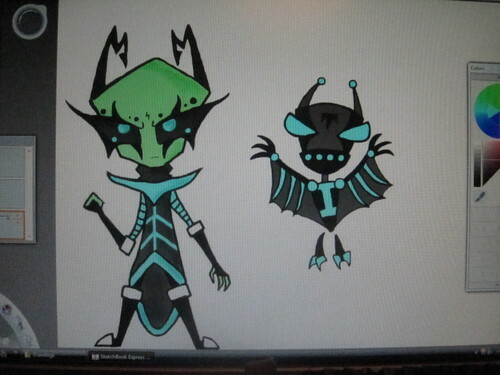 This Invader Zim FanCharacters fan art might contain sign, poster, text, and chalkboard. She needs a name! Please help! yeah i was doing some other old style pics and i figured "why not?" Names: Blade, Slash, Vrk, BlackHeart, Ink, etc.